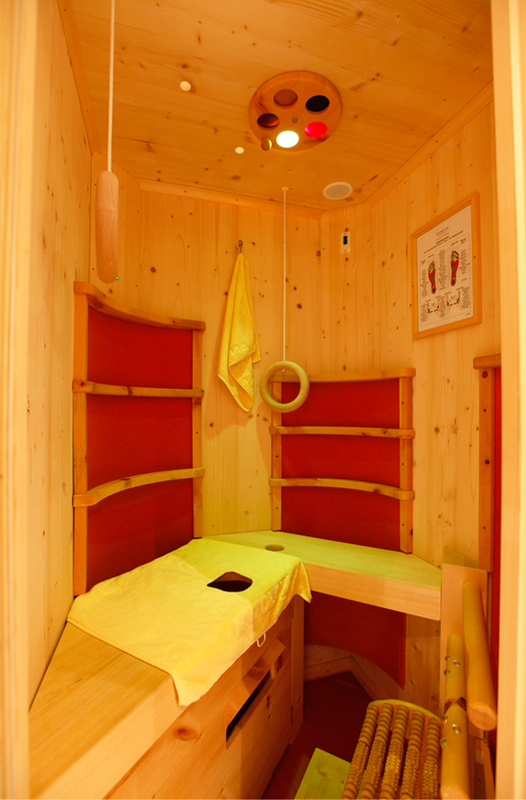 Our sauna with sanarium and infrared cabin will help you end the day on a relaxed note and regain your energy. On Sunday – Monday – Wednesday and Thursday. Usually from 5 pm. 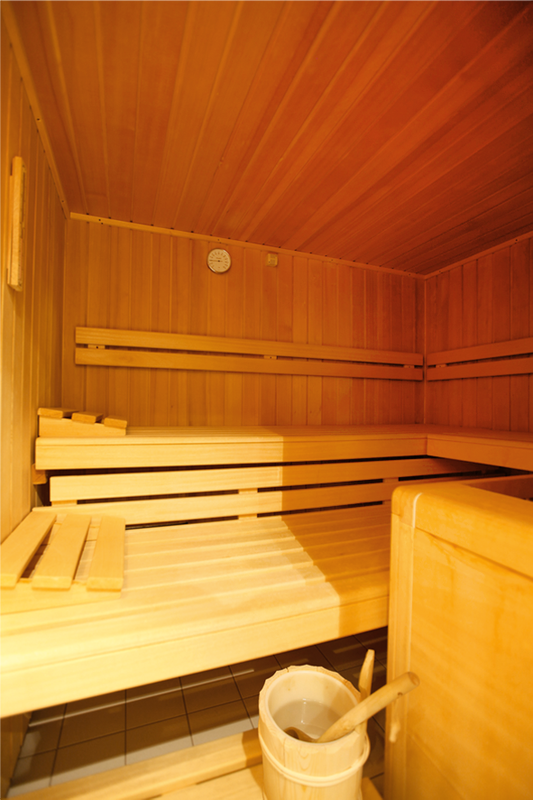 In the sauna is a dry-hot climate with temperatures between 80 °C and 90 °C with a relative humidity of only 10 % to 15 %. The use of the sauna is very pleasant and alongside the use for of skin and body care supports healing processes and reinforces body functions. 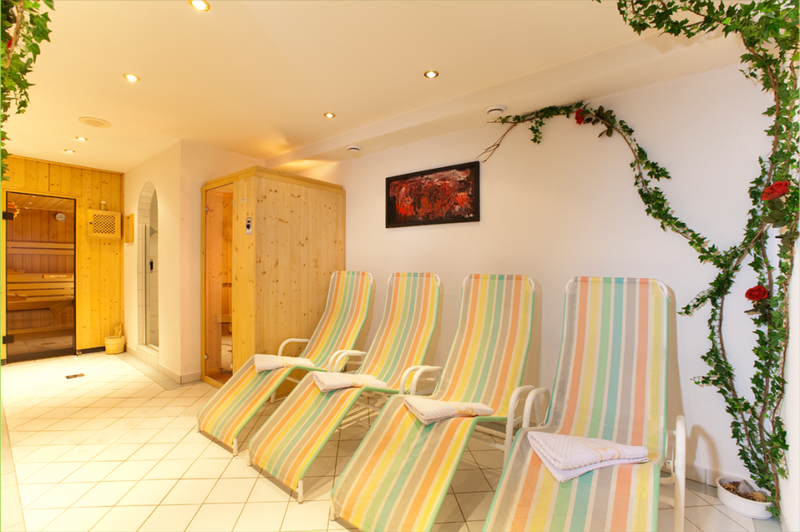 If the sauna is too hot for you or you simply prefer something a little bit cooler the sanarium is the right thing to try out. The sanarium is a new version of the sauna and is characterized by its dosed temperature and humidity. The temperature is between 45 °C and 55 °C at a relative humidity of about 55%. Enjoy the aroma of fine herbs during your session. As another alternative we can offer you the use of our infrared cabin. The warmth finds its way directly into the body and creates a comforting and cozy warm feeling that gets under your skin. This stimulates the circulation, the supply of blood to the muscles and body tissues and has an invigorating, refreshing effect.